If you have been experiencing higher bass and you want to do something about it. If you see that the tonearm is scratching your records. If you want to listen to light music with details of highs and lows. You need to adjust the balance of the tone arm, or perhaps you have to do a lot less than that – setting the tracking force. Balancing your turntable’s tonearm can be tricky. If you’re the first-timer, you’d wonder how hard it can get. Even for those vinyl lovers, it’s a cold water. You own a turntable and have been playing vinyl since you know when. During all those years, you might have got some know-how about the weight of the cartridge and the needle and how to keep them balanced with your turntable. I am quite obsessed with my turntable and always try to keep my record player in balance. Leaving stylus and cartridge without replacement add weight and devalue sound quality. Like others using their common sense, I tend to replace the needle and cartridge by inspecting them thoroughly. If you change your needle once in a while (depending how much you play your record player), your records will not experience extra pressure, and will last longer. You can identify it yourself. If the cartridge holder isn’t dragging along due to the heavy needle, it means the equipment is in balance. But if you’re not the pro, or have just started vinyl collection and have the basic knowledge or turntables, you should learn the proper way of balancing. Having just the basic equipment – an automatic turntable with platter, tonearm, motor and plinth, all built-in, you may want to consult an audiophile or an expert of the field, just like I did. What are you supposed to balance? What if the record was ruined due to extra weight? According to audio specialist, Ron Kain, there’s not much to balance in entry-level turntables. 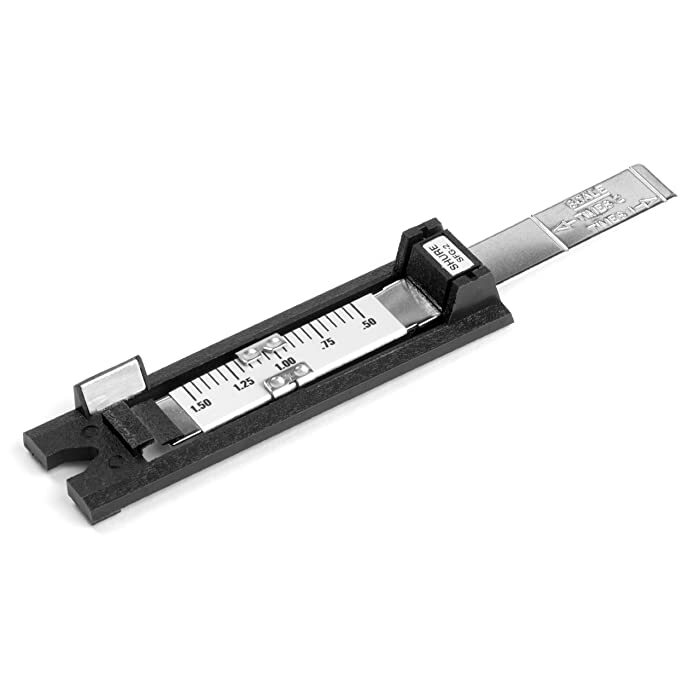 You just have to maintain the balance of the cartridge’s weight that puts pressure on the record. In other words, the only thing you need to control on an average-priced automatic turntable is its tracking force. Your record will be safe from rigorous scratching. So, it all comes to this; you don’t need to balance the tonearm, focus on the tracking force. It depends upon the kind of turntable you have; automatic turntable that offers less flexibility, or a high-end turntable that’s open to customization. Both cases have been discussed in the following steps. You’re dealing with an analog device and here “resetting” means more than just pressing a button. Anyhow, there’s no rocket science involved either. There’s a big cylindrical knob known as counterweight. Adjust it until you see that the tonearm is in balance. It’s like a see-saw and you have to level each end of it. Now you are at zero level. Begin adjusting the dial which is available in front of the counterweight. Set it according to the recommendations of the cartridge manufacturer. That will be around 3 grams. This is the easiest way to reset the tonearm, but what if you don’t have numbers on the dial? Here’s another way to adjust the weight. You can use a tracking guage which is a scale for the tonearm. 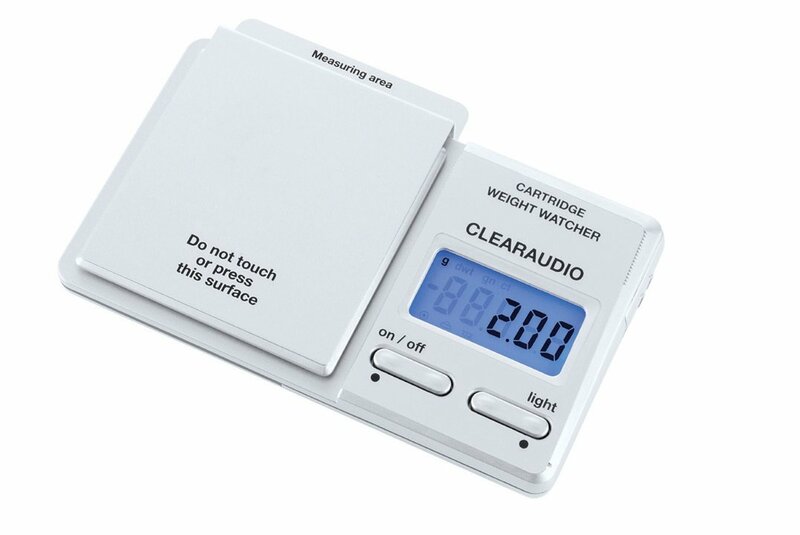 You can buy Clearaudio – Weight Watcher on Amazon. It measures up to 1/100th gram of the tracking force. If you’re looking for something affordable, get Shrue SFG-2 Tracking Force Gauage for about $27. It measures up to 1/10th of a gram. Set the gauge right above the test record on your turntable. Put the cartridge on the gauge. The gauge has a digital read out. Now adjust the counterweight dial so that the digital reading shows up 2.5 grams. If you’re experienced with turntables, you can adjust on the fly without any tool. Anyhow, it also depends upon the condition of the vinyl record used for testing. There are no in-depth technicalities to judge whether the cartridge was too heavy or too light. In fact, most of the time you don’t really have to touch it, once you’ve adjusted the tonearm’s tracking force properly. You may not be comfortable with the sound quality. For bassier track: Perhaps, you’d want your track to have more bass. In that case, the weight on the tracking forces needs to be increased a little bit. In this way, the low end will be accentuated. For details: If you are looking for details in the highs and mids, you have to pull the weight back. So, it turns out that the bass depends upon the traction between the stylus and the record. The less weight on the stylus, the less traction, and the less bass there will be. Having said that, adjusting the weight is a lengthy job. It’s more sort of a trial and error task. If you’re using basic audio equipment, these adjustments won’t bring noticeable difference in sound quality. the cartridge as well. Moreover, if your record is warped slightly, a record weight will help (don’t increase the tracking force though). Normally, people get confused with balancing tonearm. They take tracking force adjustment as balancing the equipment. However, balancing is more customized and it can only be applied on high-end and expensive turntables. So, you don’t have to go further if you don’t have that mid-range $4600 turntable, or if you’re not an audiophile. Anyhow, the quality of each component speaks for itself. Each of the components accounts for high-precision sound – the motor, the tonearm, the platter, the stylus, every single thing. They’re tailor made for disturbance-free sound, which means, you don’t get to listen to all those background noises while listening to your favorite music. They have the ability to replace the plastic tonearm with a carbon fiber tonearm. You can replace your platter with a thicker and higher platter. In short, you have multiple options for customization. If you’re a newbie, you wouldn’t care about such flexibilities, but if you’re crazy about vinyl, you’d surely go for precision and customization. Automatic turntables don’t offer customizability. So, you’re the one to decide. So, you have it all. If you own an automatic turntable that’s not too flexible and customizable, all you need to do is set and adjust the tracking force. You can set the sound quality according to your likings, but no matter how far you go, you cannot control external noises. My advice for you would be, not to stretch your budget more just because of undisturbed music. At the same time, keep checking your turntable and its components for wears. On the other hand, if you have a mid-range or high-range turntable, you’ll have a wide range of choices. Then, you’ll be looking for precision sound without external noise. But you also need to adjust the tonearm, other than adjusting the tracking force. If you do own an expensive brand, why take chances on your own. You can always ask a custom installer to get what you look for. If you’re asking a music lover like me who cannot afford to have those high-end turntables, I am quite satisfied with my equipment. I may look for upgrades in future, but for now, my turntable is in quite a good shape. Plus, person like me don’t want to hand over his turntable to another hand, so, I love what I own. I am an ordinary music lover like most of the people out there, and have no extravagant plans like audiophiles. That’s why, I am quite happy with simple turns of the counterweight of my tonearm and maintain its balance. For the purpose of adjusting the VTF Without a gauge? Am I wrong?